Myself and a friend dropped into Provand’s Lordship – Glasgow’s oldest house – recently for a quick gander around. I’d been before, but my friend thought she hadn’t or if she had it was as a child. It’s a medieval building in Castle Street, Glasgow. It used to sit across the road from the Bishop’s Palace (or Castle – hence the street name), but that was torn down to make way for the Royal Infirmary. Provand’s Lordship was built in 1471 as part of St Nicholas’s Hospital for the then Bishop of Glasgow, Andrew Muirhead. It also lies across the road from Glasgow Cathedral, which has been on that site since 1136 (it’s also worth visiting, but we didn’t have time). I love Provand’s Lorship. It feels like you very much step back in time when you go through the wee door (stooping so you don’t bump your head – well I had to being 5’8″) and into the first room. 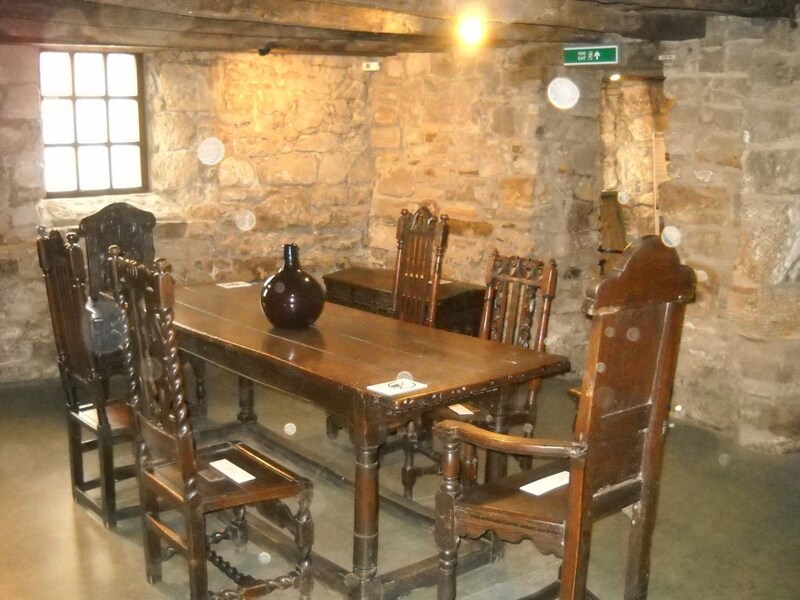 The house has a number of great rooms furnished with period furniture (originally by the Provand’s Lordship Society of which was created in 1906 to save the building and included Charles Rennie Mackintosh as a member) telling the story of the history of the building. It’s been part of a hospital, an inn and a sweetie shop in its long history. It has all the lovely bits of an historic building – original features such as fireplaces and stone carvings, the wooden floors, small doorways and a spiral stone stairwell taking you from the ground up two floors to the other parts of the building. It doesn’t take you loads of time to go round Provand’s Lordship, but it’s well worth a visit just to get that real feel of historic Glasgow. If I had had more time, I would have dropped into the cathedral (which has links with William Wallace) and the St Mungo Museum of Religious Life and Art across the road. What’s great about them all is that they are all free and the staff are lovely and very helpful. Anyway, life has been a bit less hectic this week so far. I have a quiet weekend to look forward to as well, which is great cos it means I’ll be forced to sit down and do some writing! Am off…got stuff to do. Til next time! ← Guess what I was doing yesterday?